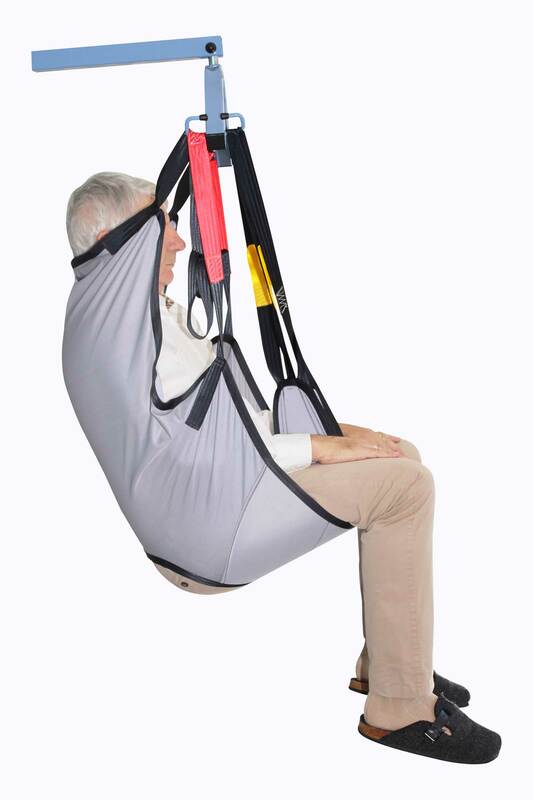 The Fast Adjustable Eco Sling’s foam leggings reduce the pressures exercised on the thighs and the hooks with 2 settings (specifically designed for 2-point spreader bars) allow fast combinations for sitting, semi-sitting and lying transfers. 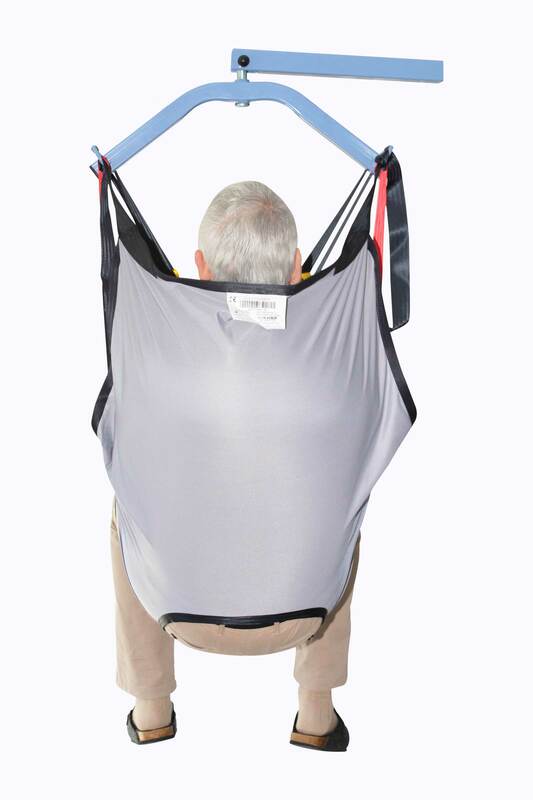 We recommend using it for bed to chair to bed transfers requiring a management of the head. 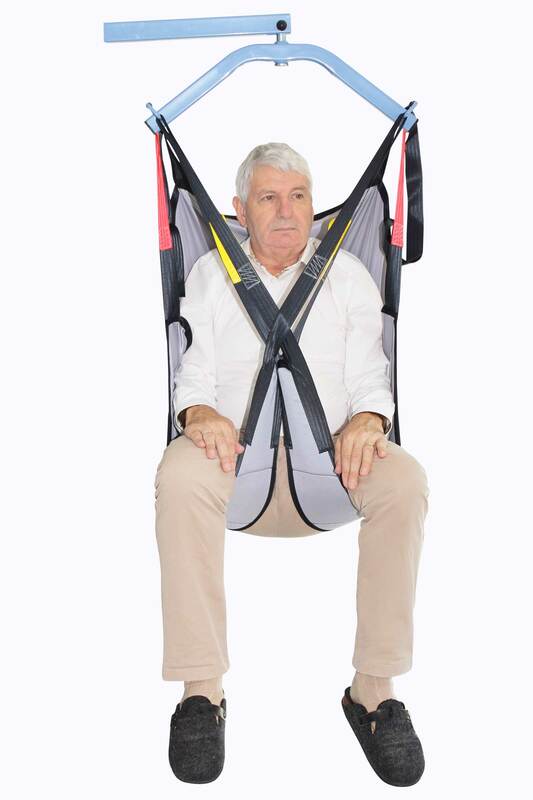 The addition of a removable headrest protects the cervical for patients without head support or during a “lifting from the floor“ transfer.